Join them for the 24th Annual Downtown Mount Clemens New Year’s Eve Gala. This is Metro Detroit’s Best Family New Year’s Eve Party featuring live entertainment and Midnight fireworks! The gala is the perfect way for families to ring in the New Year together. Children’s New Year’s Eve in Never Never Land runs from 4 PM until 9 PM. Eastside Westside band takes the stage at 9:30 PM to kick off the gala festivtieis. 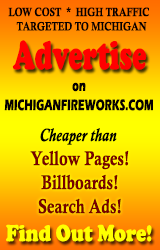 Zambelli Fireworks will be providing the professional pyrotechnics display.